The Commission’s fourth evidence session took place at LSE on 27 September 2017. A blog summarising the key findings from the session is available here. Merli Margaret Baroudi is a Director of Economics and Sustainability at the Multilateral Investment Guarantee Agency (MIGA), the political risk insurance and credit enhancement arm of the World Bank Group. She joined MIGA in November 2016 and is responsible for its economics, country risk management, evaluations, and environment and social development functions. Prior to joining MIGA, she worked at the World Bank from 2003 as Director and Chief Credit Officer. She has also worked for the Economist Intelligence Unit of the Economist Group and JP Morgan Chase & Co.
Paddy Docherty is the CEO at Phoenix Africa. He was in the oil & gas corporate finance team at PricewaterhouseCoopers (PwC) in London before joining the boutique investment bank Global Union (based in Bahrain) as a Director. His work in this role included extensive business development in Africa. He returned to PwC to take up a role as Manager of the regional Central and Eastern Europe & Commonwealth of Independent States energy corporate finance team, based in Prague. He was on the UK board of Millennium Promise 2010-15 and was a member of the World Economic Forum Global Agenda Council on Fragile States 2012-14. He is currently also Chairman of Lion Mountains, the first Phoenix Africa business, and a member of the private sector delegation to the Committee on World Food Security at the UN Food and Agriculture Organization. Hisham El-Khazindar is the Co-Founder and Managing Director of Qalaa Holdings, a leading investment firm in Africa and the Middle East. Established in 2004, Citadel Capital controls investments in excess of $9 billion in industries including mining, energy, logistics, agri-food, and building materials. 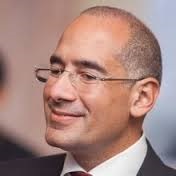 Prior to co-founding Citadel Capital in 2004, he was Executive Director at EFG-Hermes, the leading Middle East investment bank, where he advised on landmark merger and acquisitions transactions and initial public offerings (IPOs) in the region, and where he started his career in 1996. During 1999-2000, he was on secondment to Goldman Sachs in London. He is a member of the Advisory Committee of the Emerging Markets Private Equity Association, and a founding board member of the Egyptian Private Equity Association. He also serves on the Strategic Advisory Board of the American University in Cairo’s School of Business, and as a Trustee of the Children’s Cancer Hospital Egypt. 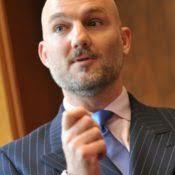 Neil Gregory is Head of Thought Leadership at the International Finance Corporation (IFC). 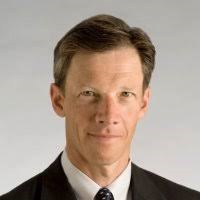 He was previously Chief of Strategy and Operations for the World Bank Group’s Financial and Private Sector Development Network, which produces global benchmarking products which include Doing Business. Before that he was a Manager in IFC’s South Asia Department. Earlier in his career, he was Adviser to the UK Executive Director of the IMF and World Bank Group and an Economic Adviser to the UK government. 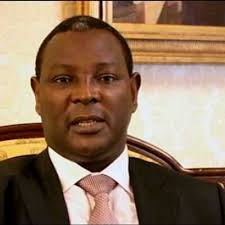 James Mwangi, CBS is the Managing Director and CEO of the Equity Group Holdings Plc. He is currently the Chairman of Kenya’s Vision 2030 Delivery Board charged with the responsibility of ensuring Kenya becomes a middle income country with global high standards of living by the year 2030. He is a board member of the Africa Leadership Academy in South Africa and the Global Alliance for Food Security and Nutrition, among others, and is the Chancellor of Meru University College of Science and Technology. He has been honoured twice with Presidential national awards; he was vested the First Class Chief of the Order of the Burning Spear (CBS) national decoration, the highest presidential award to a civilian, for outstanding contributions in economic development as well as the Moran of the Burning Spear. He was named the World Entrepreneur of the Year by Ernst & Young in 2012, the Forbes Africa Person of the Year in 2012, holder of the 2007 Global Vision Award, and recognised as the 2015 Ai40 CEO of the year at the Africa Investor CEO Investment Summit. Diana Noble was CEO at CDC Group, the UK government’s Development Finance Institution between 2011 and mid-2017, a period of transformation and growth. The strategy was refocused on the poorest areas of the world and sectors most likely to generate much needed jobs, the organisation grew from 50 to 260 people, the annual investment rate increased from $300 million per year to $1.5 billion, and net asset value increased from $3 billion to $4.7 billion. In early 2017, the UK Government approved a potential future increase in share capital of up to £12 billion to CDC. Her background is in private equity, with Permira, and international development, with Clinton Foundation Health Access Initiative where she was responsible for 43 countries and 5 global teams and oversaw a global programme which gave children equal access to HIV/AIDS care and treatment to that available to adults. She is currently an non-executive director on the board of the Business Growth Fund.